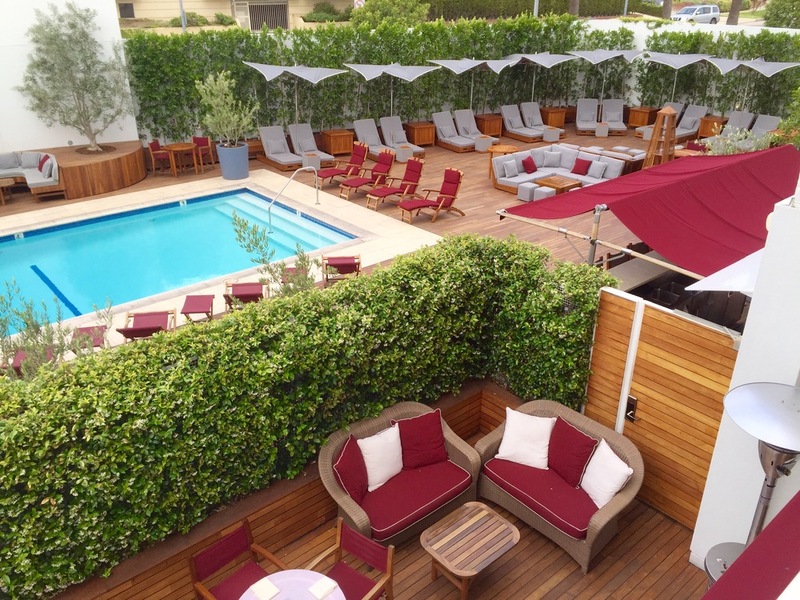 News that Beverly Hills’ hip Mr. C hotel was launching new top-notch kids’ amenities seemed like the perfect excuse for a mom-and-daughter staycation. LA-based writer Jennifer Ashton Ryan and daughter Cora checked-in last week and shared this trip report and review of the hotel. Let Passported book your stay at Mr. C and receive insider perks, including free breakfast for two and a $100 spa credit. Contact our bookings team to find out more. 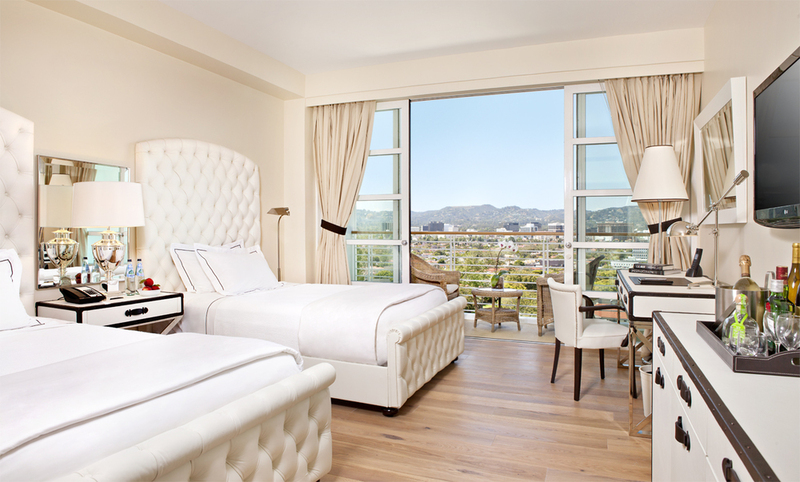 Tucked away in residential Beverlywood, the 138-room tower stands alone boasting panoramic views of nearby Los Angeles attractions like Beverly Hills and the Hollywood sign. The “C” stands for Cipriani, the famed owner of Venetian outpost Harry’s Bar; now four generations later the family’s Italian food and European hospitality grace the West Coast. An outdoor pool with a lounge-y vibe welcomes children and classic Cipriani dishes can be served in the swanky restaurant or ordered in-room. A family of four can squeeze into standard rooms with two double beds, but either of the one-bedroom suites called Mr. C (two bathrooms) or Classic (one bathroom) with two rollaways ($35/night each) in the living room are more comfortable. Cribs are complimentary. Booking a one-bedroom Mr. C Suite with a guaranteed connecting room is the most comfortable option for a family of four; connecting rooms are not guaranteed when reserving two standard rooms. At turndown, staff bring milk and cookies with sides of Nutella for Little C guests. Mr. C is a boutique city hotel that is certainly child friendly, but not child-centered (posh crowd, no kids club). The trendy outdoor pool area, a corner with vintage board games in the lobby, and a small lawn with a croquet set accommodate children, but among mostly adult travelers. Conveniences like a grocery store and casual restaurants are walking distance, but significant LA attractions are driving distance only. Then again, nobody walks in LA. Rather than walk up to a traditional check-in desk, guests upon arrival are directed to the bar for complimentary Bellini cocktails (sans alcohol for the littles). In-room the Honest Company amenities, Mr. C teddy bears, and kid-size robes make Little C guests feel most comfortable. Discounts for families to local attractions like Learn to Surf LA and the Santa Monica aquarium are available through the concierge.